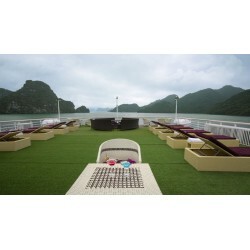 La Pinta Cruise has designed a special itinerary of two days/one night to explore the most charming areas of Halong Bay and Lan Ha bay. We provide our guests exceptional itineraries to experience less traveling routes that other cruises simply cannot offer you. Your experience on La Pinta will create unforgettable memories. Ninh Binh town, known as Halong bay on land with mountain ranges interleaving in rivers and rice fields. This is the first capital of feudal Vietnam in 1000 year AD, the land of long history, cultural characteristics of Vietnam, along with the friendly local people. 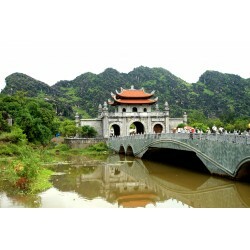 Ninh binh has become an attractive new destination for tourists. This land will become a new “must-visit” site after Halong bay when visitors come to Hanoi, and we will prove it by our tour. 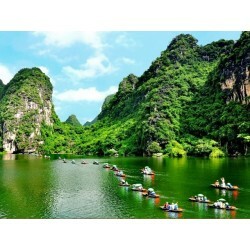 Let’s go to explore the legend land, Ninh Binh countryside. 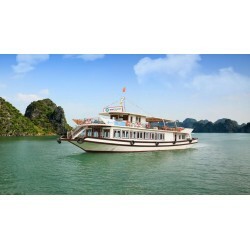 Halong Bay is a spectacular natural wonder. The dramatic scenery dotted with islets makes this an excellent semi-sheltered, open water location for kayaking. This day trip cruise is ideal for keen novice and experienced kayakers alike. 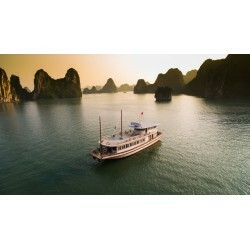 Inspired by gracious charm of Vietnam’s national flower, the boat features a flawless blend of traditional and contemporary cruising concepts with images of the pure lotus infused in the fine design of every corner on board, our luxury day cruise will bring you memorable moments in Halong bay. 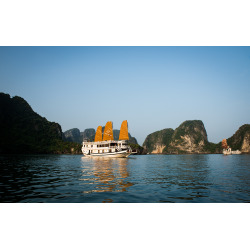 There is nothing but exceptional experience when cruising with Halong Sen Cruises as you indulge your eyes with spectacular landscapes and satisfy your taste to the fullest with the best of Vietnamese cuisine. 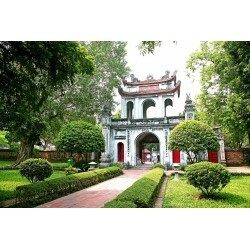 This exclusive small-group tour takes visitors from the venerable city of Hanoi, complete with stately French colonial buildings and a bustling old Vietnamese quarter, to the natural wonderland that is Ba Be Lake and the Ban Gioc waterfalls, the world’s 4th largest border waterfall after Niagara, Iguacu and Victoria. You will also be able interact with the ethnic Tay minority in small villages and explore the Nang River by boat. 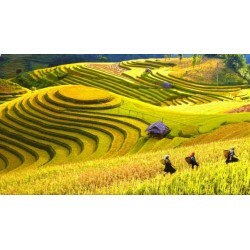 Vietnam is a country filled with captivating natural beauty and tranquil village life. Its highlands continue to yield new species and team with exotic wildlife. 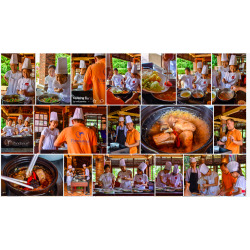 Its islands and beaches are among the finest in all of Southeast Asia, and its cuisine is excellent. Our new Highlights Multisport provides you with the opportunity to experience it all firsthand. Sapa and Halong are two places you must see in the North of Vietnam. 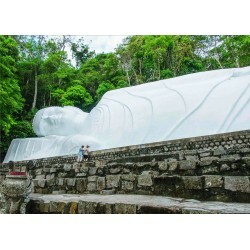 Within 6 days, this group tour gives tourists a chance to explore the best of them with long lasting memories for sure. 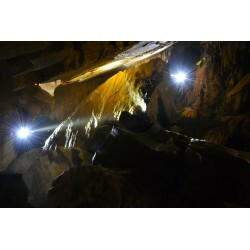 Highlights of the trip is a trekking tour in Sapa with homestay experience and a relaxing cruise in Halong Bay to discover the stunning caves, islands and islets. Cheapest with partly joining group tour. Saving up your money. 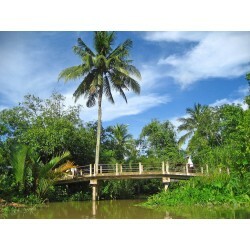 - Discover famous places in Cambodia such as: Phnompenh, Angkor Wat. Traveling from North to South is the best direction to research the traditional culture and history of Vietnam before you reach its modern daily life. Excellent to visit World Heritages of Vietnam and to extend to Cambodia at the end by river way. 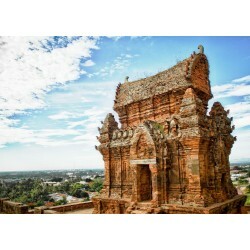 Having a much shorter history compared to its Northern sister, the South of Vietnam offers less ancient sightseeing points, more modern and dynamic life. Under the sun of tropical climate almost all year round, we can enjoy both daily hardworking life of the locals and get sunburn at numerous hilly and beach resorts.  If you are looking for a trip with no every-two-day flights, with easy and less touristy connection landway at the end with neighbouring countries, especially Thailand whilst having enough time. For the most remarkable things to see in Vietnam, this tour is designed to catch it. 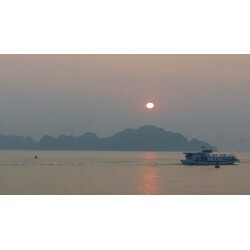 Easy to connect with Southern Vietnam, Northern and Southern Laos, Cambodia and Thailand. Check here for direct flights to these destinations. Traveling from South to North is the best direction to turn back time from modern daily life to the traditional culture and research history of Vietnam. 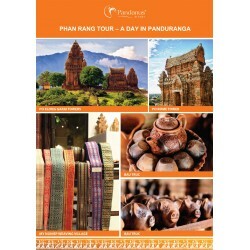 Easy to connect with Bangkok, Yunnan, Luang Prabang, Phnompenh and Siemreap as well as to other part of Vietnam. 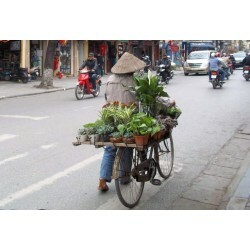 Over 15 days, you’ll have the opportunity to delve a little deeper to parts of Vietnam where very few people go. 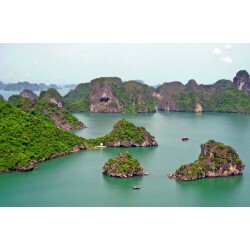 Some of the highlights include visiting endangered primates in the beautiful Trang An, exploring one of the largest caves in the world, a scenic drive along the Hai Van pass made famous by the show Top Gear, sampling some of the world’s best coffee, tackling rapids while white water rafting and a cruise through canals of the Mekong Delta to name just a few. This trip certainly packs a punch! 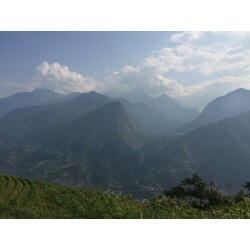 Pu Luong Nature Reserve is an area of outstanding beauty, cultural interest and high biodiversity stretching from Mai Chau in the north-west to Cuc Phuong National Park in the south-east. The region is blessed with rich forest, limestone panoramas, magnificent rice terraces and breathtaking scenery. On this 3-day trek through Pu Luong Nature Reserve you can experience the everyday life and culture of Thai and Muong ethnic minorities and spend your nights with friendly locals. Travel to Sapa and conquer Roof of Indo-China - Fansipan mountain. This 3-day 4-night tour includes trekking to the summit of Fansipan mountain. You will be led by a local H'mong guide whose knowledge and understanding of the different hill-tribe cultures will make for an unforgettable experience in Hoang Lien Son National Park. Get away from the city and into the wilderness of Vietnam as you trek deep into the jungle to discover the rich diversity of the Vietnamese countryside. Get to know some of the ethnic minority communities living harmoniously in rural Vietnam and let them share their culture, tradition and beautiful surroundings with you. Engage in some exciting activities as you trek through mountains, explore mysterious caves and take to the water in the rivers and lakes. Mountain and then to the Dragon Fruit Garden.